All too often, however, what should be just isn't so. In a number of scientific fields, published findings turn out not to replicate, or to have smaller effects than, what was initially purported. Plenty of science does replicate – meaning the experiments turn out the same way when you repeat them – but the amount that doesn't is too much for comfort. Much of science is about identifying relationships between variables. For example, how might certain genes increase the risk of acquiring certain diseases, or how might certain parenting styles influence children's emotional development? To our disappointment, there are no tests that allow us to perfectly sort true associations from spurious ones. Sometimes we get it wrong, even with the most rigorous methods. But there are also ways in which scientists increase their chances of getting it wrong. Running studies with small samples, mining data for correlations and forming hypotheses to fit an experiment's results after the fact are just some of the ways to increase the number of false discoveries. It's not like we don't know how to do better. Scientists who study scientific methods have known about feasible remedies for decades. Unfortunately, their advice often falls on deaf ears. Why? Why aren't scientific methods better than they are? In a word: incentives. But perhaps not in the way you think. In the 1970s, psychologists and economists began to point out the danger in relying on quantitative measures for social decision-making. For example, when public schools are evaluated by students' performance on standardized tests, teachers respond by teaching "to the test" – at the expense of broader material more important for critical thinking. In turn, the test serves largely as a measure of how well the school can prepare students for the test. We can see this principle – often summarized as "when a measure becomes a target, it ceases to be a good measure" – playing out in the realm of research. Science is a competitive enterprise. There are far more credentialed scholars and researchers than there are university professorships or comparably prestigious research positions. Once someone acquires a research position, there is additional competition for tenure, grant funding, and support and placement for graduate students. Due to this competition for resources, scientists must be evaluated and compared. How do you tell if someone is a good scientist? An oft-used metric is the number of publications one has in peer-reviewed journals, as well as the status of those journals (along with related metrics, such as the h-index, which purports to measure the rate at which a researcher's work is cited by others). Metrics like these make it straightforward to compare researchers whose work may otherwise be quite different. Unfortunately, this also makes these numbers susceptible to exploitation. In our analysis, we assumed that methods associated with greater success in academic careers will, all else equal, tend to spread. The spread of more successful methods requires no conscious evaluation of how scientists do or do not "game the system." 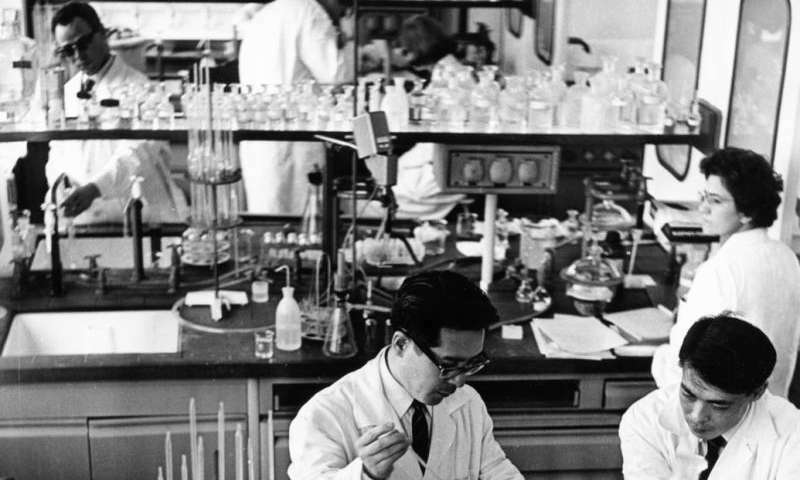 There is ample evidence suggesting that publication incentives have been negatively shaping scientific research for decades. The frequency of the words "innovative," "groundbreaking" and "novel" in biomedical abstracts increased by 2,500 percent or more over the past 40 years. Moreover, researchers often don't report when hypotheses fail to generate positive results, lest reporting such failures hinders publication. We reviewed statistical power in the social and behavioral science literature. Statistical power is a quantitative measurement of a research design's ability to identify a true association when present. The simplest way to increase statistical power is to increase one's sample size – which also lengthens the time needed to collect data. Beginning in the 1960s, there have been repeated outcries that statistical power is far too low. Nevertheless, we found that statistical power, on average, has not increased. As part of our analysis, we assumed that each lab exerted a characteristic level of "effort." Increasing effort lowered the rate of false positives, and also lengthened the time between results. As in reality, we assumed that novel positive results were easier to publish than negative results. All of our simulated labs were totally honest: they never cheated. However, labs that published more were more likely to have their methods "reproduced" in new labs – just as they would be in reality as students and postdocs leave successful labs where they trained and set up their own labs. We then allowed the population to evolve. And replication – while a crucial tool for generating robust scientific theories – isn't going to be science's savior. Our simulations indicate that more replication won't stem the evolution of bad science. The bottom-line message from all this is that it's not sufficient to impose high ethical standards (assuming that were possible), nor to make sure all scientists are informed about best practices (though spreading awareness is certainly one of our goals). A culture of bad science can evolve as a result of institutional incentives that prioritize simple quantitative metrics as measures of success.